Addon to Thaumcraft and Buildcraft, that allows to liquefy essence, e.g. to store your excess essence in BC tanks. 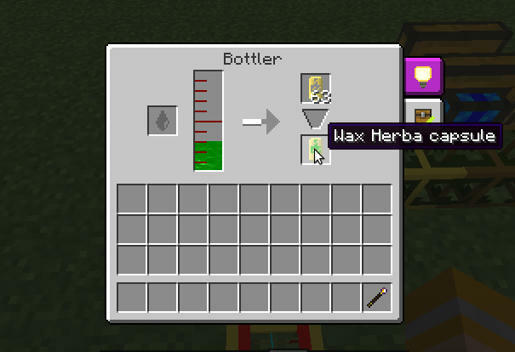 Also provides Forestry capsules and recipes for Bottler and Squeezer. To convert essence to liquid, you have to research 'Liquefier'. This device must be connected to Warded Jars or Arcane Alembics and powered by BC pneumatic energy and supplied with water to extract essence as liquid. To extract liquids from Liquefier just connect it as tank by wooden waterproof pipe. UPDATE: Now with aspect Transmutator, it can convert essences to each other. If you want change ratios for balance - just edit LiquidTransmutation.xml file. Really nice mod! I don't really have much essentia arround (besides messis, 25 jars full of it) to have too much tanks. iron tank of messis, here I come! edit: are you able to take essentia from nearby tanks? I have a few questions though; How will you be able to use the Essence? Can the Golems see the tanks as a valid inventory? Can i use, let's say; a bucket to take it out the tank? and dump that bucket in directly in the Crucible? How much essence goes into one Capsule/Bucket/Can? For now you can use only by filling the capsules and then throw them in to the Crucible. Current ratio (for balance) is 6 in capsule for 8 essences (8 essences = 1 bucket), can be changed in config. First of all, love the idea here. Bulk storage is great. Thematically, though, I'm not sure it makes sense. I believe that essences extracted through the alembic are already supposed to be a liquid. I can think of two ways to reconcile this, offhand, though. Small name-change and lore. You call it the "Abrogator" and claim it to be a device that renders raw essentia back into an inert state, so that it can be stored safely without the need for special containers in the lore entry. Replace it entirely, and instead have research for "warded pipes", needed to transport essences. 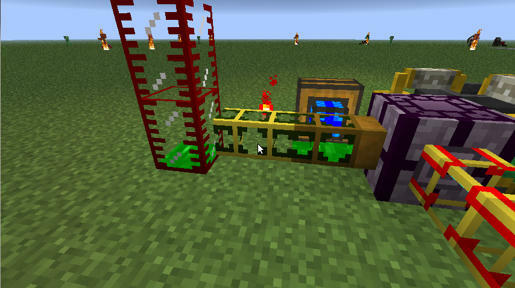 Add research for "Warded Tanks", that can hold essences in greater volume than Warded Jars (a version of Railcraft tanks would also be nice, if you went this way), and various other "Warded" containers for anything to be used for storing it. This version's a lot more work, but gives players plenty of new things to research. Essentia in jars/alembics is not a liquid, it's like aerial/non-corporeal substance. In raw form it must be contained in magic containers like jars. Liquefier is more like a gas compressor, it's a more technical than magical device - use energy instead of vis, pressure pipes instead of golems. Main purpose of this mod - to serve as bridge between TC and BC-compatible mods, not replace TC game mechanics. 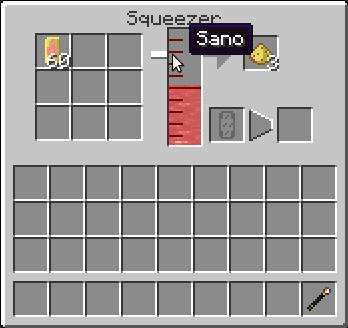 Here's a thought: Require a liquid input (water, perhaps) for the essentia to bond with to stabilize them. 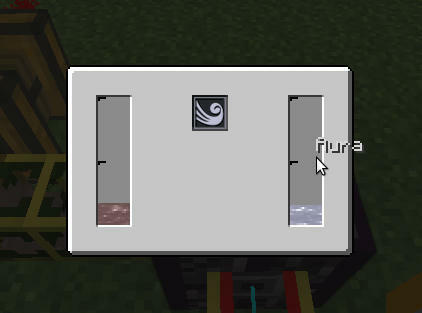 I would say to talk to Azanor as I believe Thaumcraft was based off a game, you two could work together for balance purposes and a practical way of handling the transfer of Essentia to liquid. I'll definitely be keeping an eye on this mod as I've been looking to expand my liquids warehouse and mass-essentia storage seem to foot the bill. Speaking of balance, new device added and it of course unbalanced at beginning. However, you can change ratios in configuration files. I'll definitely give this mod a shot. I kind of wish that Azanor had stored research data in a different way and made it easier to clear the Thaumonomicon, it would make testing a lot easier for some people. Also: Would it be at all possible to completely disable the transmutation of aspects via the config file until such a time that the process is much more balanced? 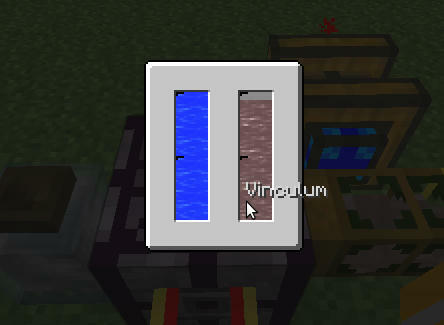 Any chance someone can make plugins to make machines work off aspects while emitting flux of that type? Say, having steam boilers and combustion engines run off the fire aspect? Likely in next version, but you already can set ratios like 99999 to make Transmutator completely impractical. On other hand, in SSP you already can cheat with TMI/NEI or "open to LAN" trick to get chests full of diamond blocks or whatever, without "help" of this unbalanced mod. Actually, I want to add "wand in the machine's inventory" requirement to draw aura and emitting a flux as cost of transmutation. 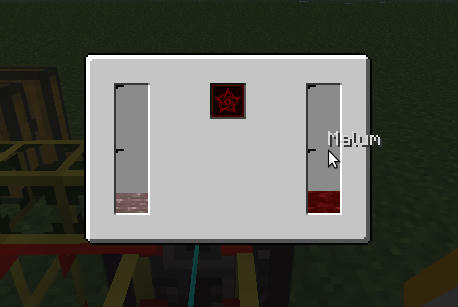 About engines, I don't think that is good idea, because we already have many of them in other technological mods, maybe is better to add Alumentium to engines, boilers and generators as fuel, and this is will be different mod/addon. Just FYI, I've been asked several time for permission to allow essentia as a forge liquid and my answer has always been no. There are specific reason for that and it would mess with some lategame stuff I have planned. I did't want to cause any harm to you and TC3 by creating LiquidEssence, actually I did't even know that you are against this kind of mods. I thought transmutation will help on SkyBlock or flatcore survival maps, not replacing original TC gameplay. If you want, I will remove mod and/or give you sources of the mod (at least my work may be not useless ), just tell me. I have a Balance Idea. 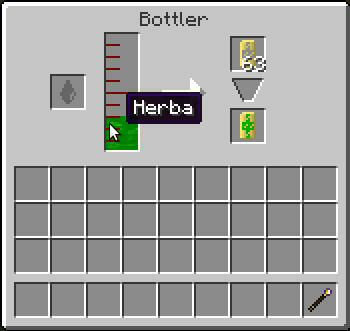 For Transmutation you should make it so it cant use the Aspects from Cobblestone or Dirt so people can harvest Cobblestone and Dirt and use it to get anything they need. Just make a Quarry and go to town as of currently. Very nice addon, but when adding it to the small server I run, it crashes with a "NoClassDefFound" error, my client and server have the exact same setup, and it works wonderfully on the client, so not sure what I could be missing, or is it just not server-compatible? I didn't test mod on a server, but I'm working on the problem. It actually my first mod with server-side features, so I have a little experience with it. awesome, seems to be working now, thanks for the update! Why does the Transmuter block require BC power to work? Shouldn't it just use vis out of the environment or something? Or do I have the whole thing wrong? Because it's mostly technical device. 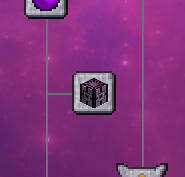 I had idea to add vis/wand requirement, but now I'm not sure about the future of the mod without Azanor's approval.